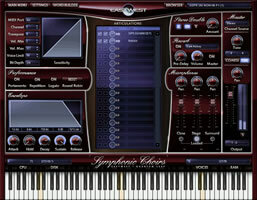 EastWest has announced Symphonic Choirs - PLAY Edition. This product is scheduled to ship in February, 2009, with an MSRP of $495 / €379. Imagine typing words into your computer, in any language, and hearing a world class Symphonic Choir sing those words in any key(s) you play "live" on your keyboard controller. Well imagine no more, that's exactly what Symphonic Choirs claims to do. 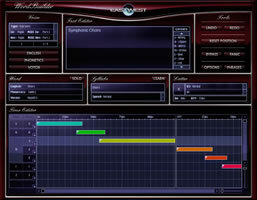 In addition, this 24-bit Choir virtual instrument includes three simultaneous stereo mic setups (close, stage and hall), so users can mix any combination of mic positions to control ambience. 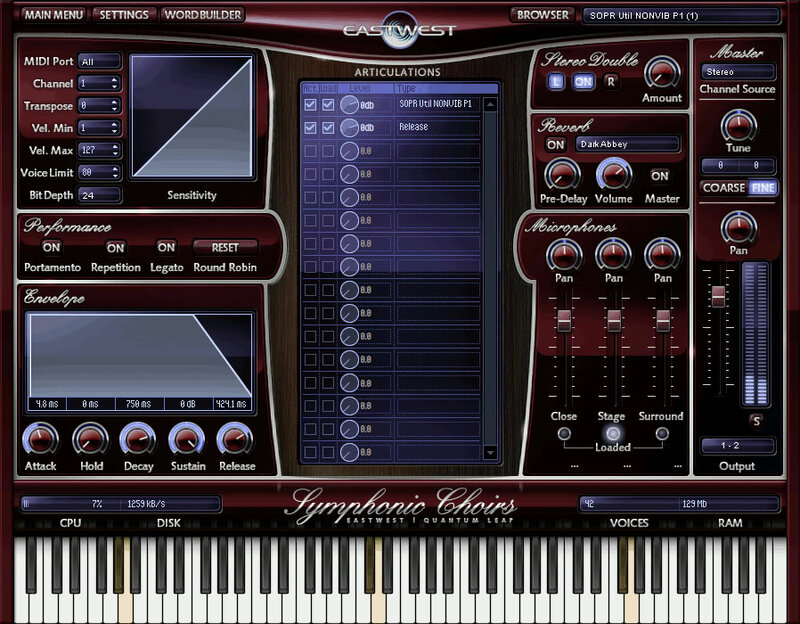 The Choirs were recorded in the same concert hall, by the same team as the EastWest/Quantum Leap Symphonic Orchestra and blend perfectly with EWQLSO. 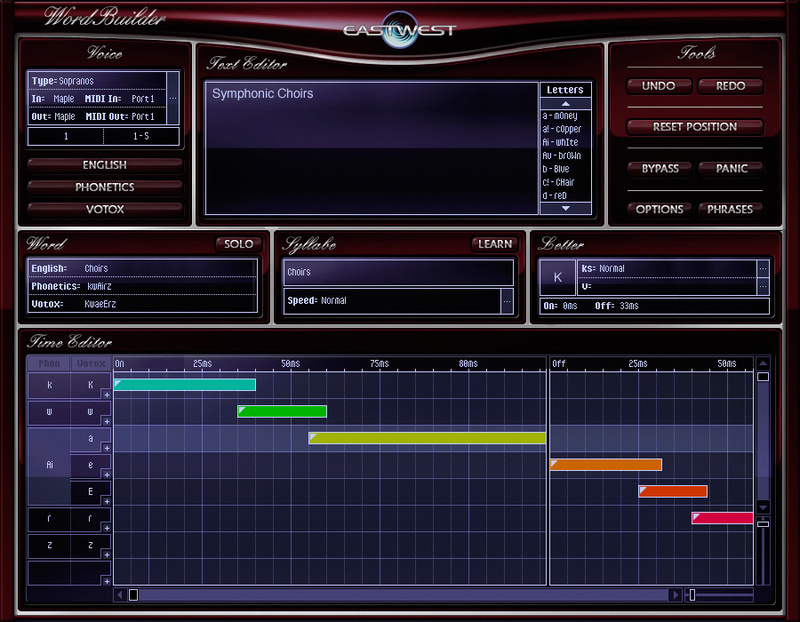 WordBuilder is the word building software that enables Symphonic Choirs users to type in words for the Choirs to sing. This included software runs on both Mac OS X and Windows, and includes a pop-down menu (under the "tools" menu) that includes 28 popular Latin phrases that you can load instantly. Many choirs sing in Latin so this is a real time saver for those on a tight deadline. The phrases have been optimized for each Choir. The pop-down menu is completely customizable so users can add their own phrases to the menu for quick and easy access. Produced by multiple award-winning producers Doug Rogers and Nick Phoenix. Recorded in 24-bit by Grammy-Winning classical recording engineer Prof. Keith O. Johnson. Choirs recorded with 3 simultaneous stereo mic setups (close, stage and hall), so you can mix any combination of mics to control tone and ambience. 5 Choirs - Boys, Alto (Female), Soprano (Female), Basses (Male), Tenors (Male) plus Solo Singers. PLAY 32 bit/64 bit interface features state of the art convolution. New built in WordBuilder* tool that enables users to type in words for the Choirs to sing (not applicable to solo vocalists). Slurred legato on all vowels. All Singers recorded in position and chromatically sampled with multiple dynamics (non-vibrato, light vibrato and heavy vibrato). * Wordbuilder runs as a separate application. Integration into PLAY will follow within 6 months after release. This feature will be available as a free update.